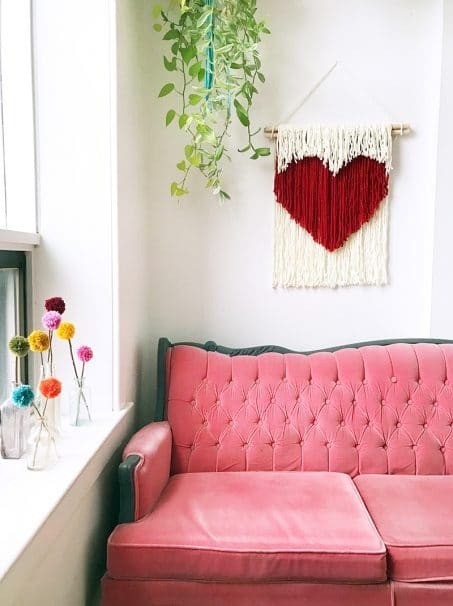 Decorate your home with these easy DIY Valentine’s Day decor ideas! So many great ideas and simple project ideas. After making the XO Valentine’s Day decor last week, I’ve been perusing other ideas that I could DIY to make our home a little more festive this season. There are SO MANY impressive ideas out there I decided to roundup some of my favorites and share them with you! 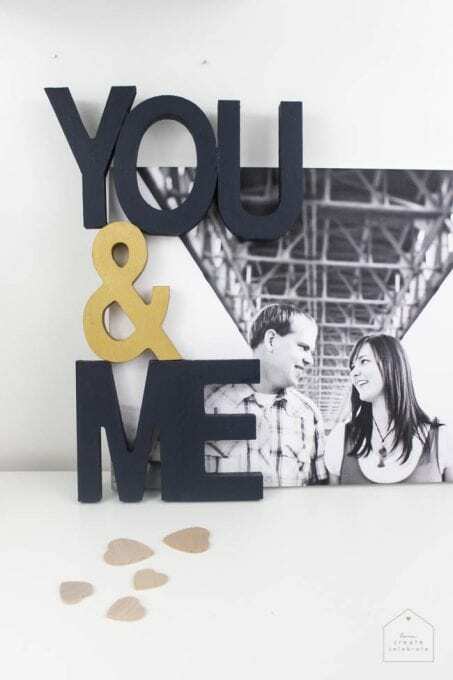 So, today I am here to show you these creative Valentine’s Day decor tutorials. 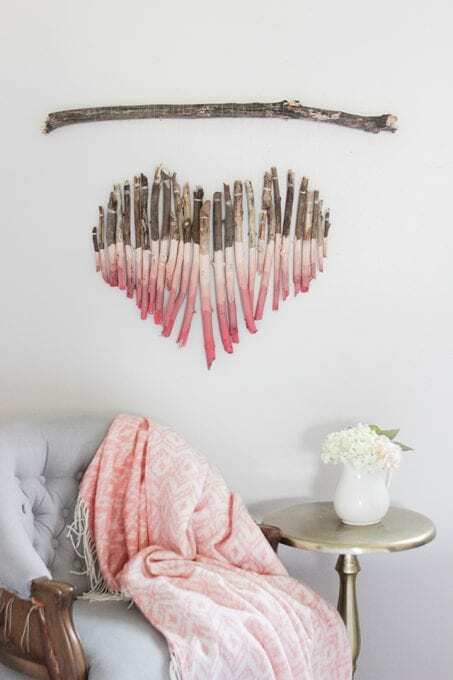 String wall art is so in and this one is incredible. I’m always intimidated by these wall hangings, but this one looks like even I could do it. 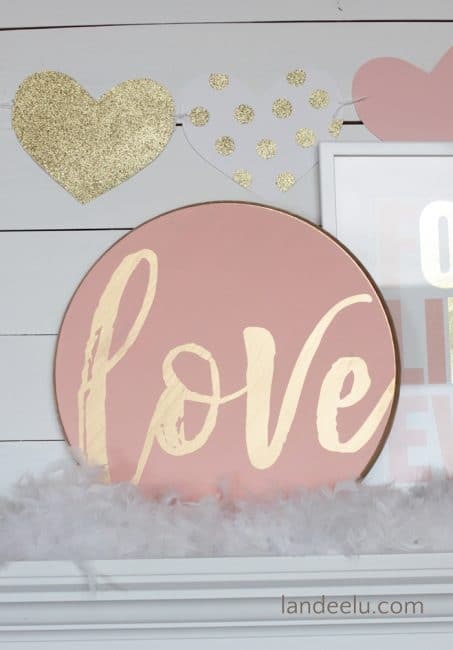 If you’re looking for decorations that are “in” this season, you can’t go wrong with this pale pink and gold sign! Plus, her whole Valentine’s mantle is just darling! Of course, I had to include the XO Valentine’s Day decor I shared last week. It’s a fun DIY project to do and anyone with a few basic power tools can do it. 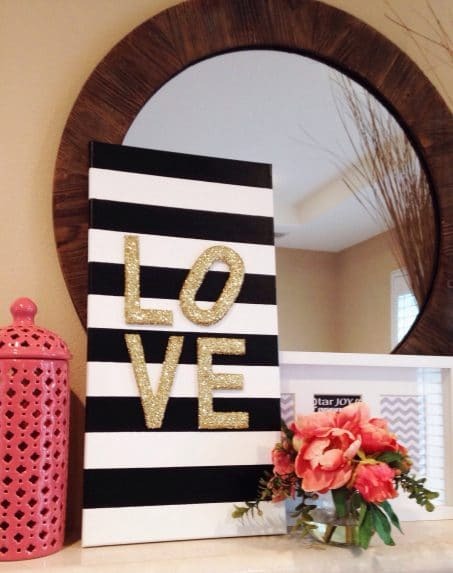 Need some DIY decor for your master bedroom? This is such a cute idea that you could paint any color to match your decor. 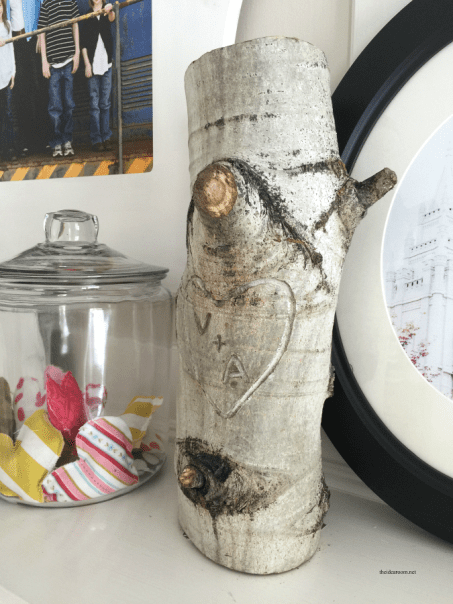 Create this fun and unique Valentine’s Day decor idea to display in your home with these tree stump heart initials DIY! This ombré heart is so cute and adds a level of sophistication that you usually don’t see in Valentine’s decor. So cute!! 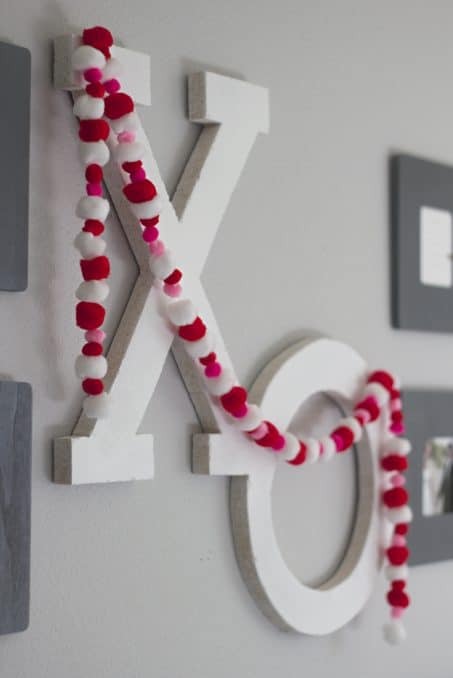 This XO is perfect if you need a quick and easy decoration on a budget. 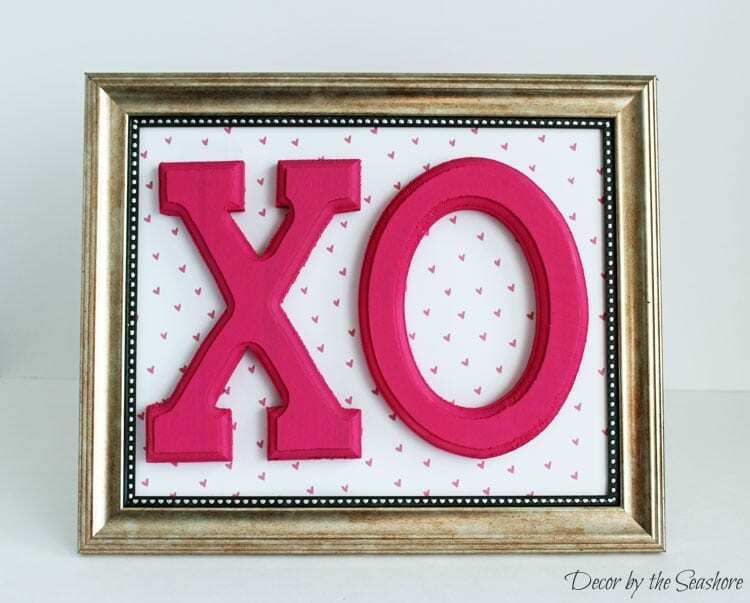 Head to the Dollar Tree to grab a frame, XO, and then raid your craft stash to finish it up. Do you love everything farmhouse? 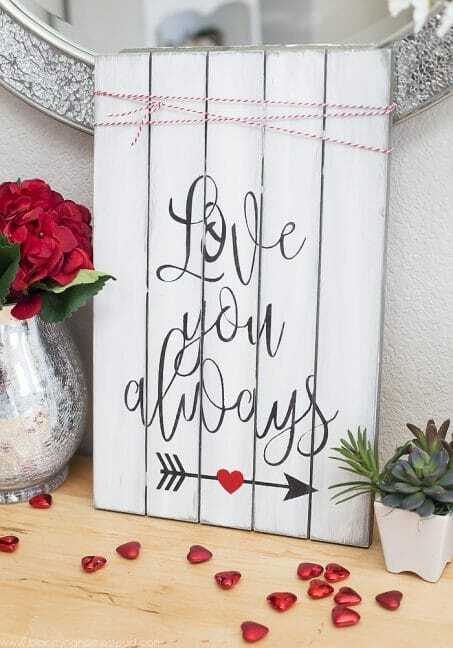 This sign shows your love with a rustic elegance you’re sure to enjoy. Who doesn’t love gold glitter?! 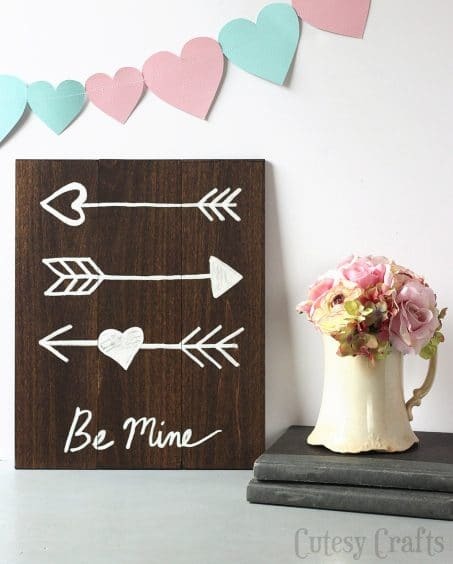 This canvas sign is a simple decor tutorial for an easy way to add to your Valentine’s home decor. 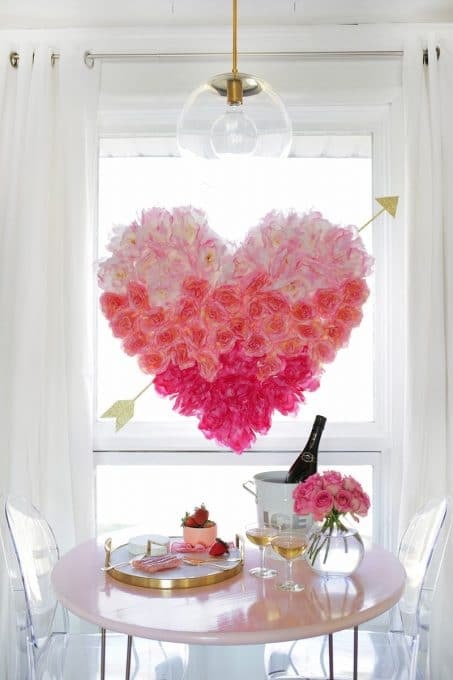 This ombre hanging heart is incredible and would add a bold statement to any home or Valentine’s party. Check it out to see how easy it is to make! 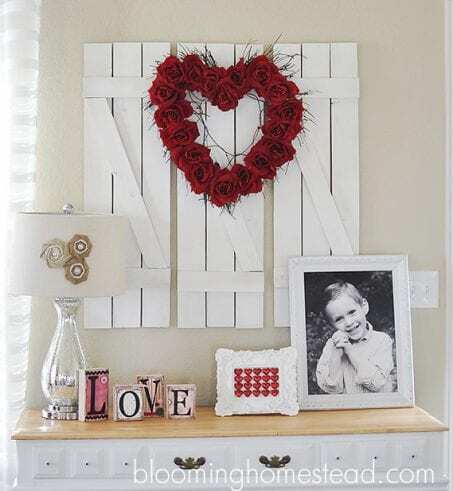 This heart wreath is so simple but would be the perfect addition to any door or Valentine’s vignette. 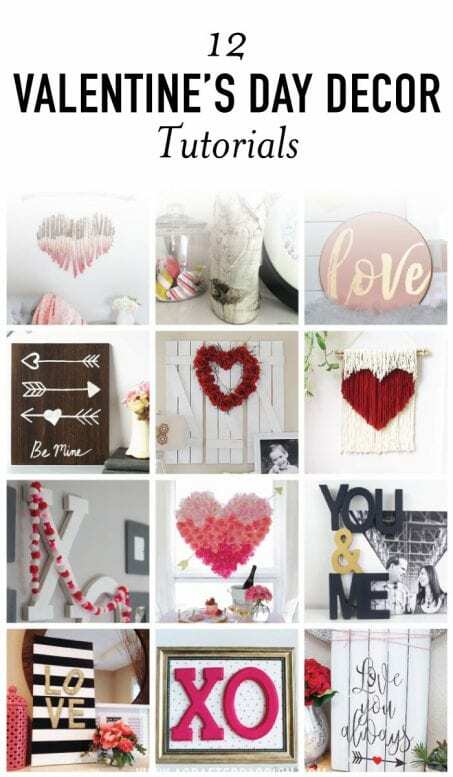 So….which Valentine’s Day decor is your favorite? These ideas are so creative and practically anyone can make them. If you love them as much as I do, I’d love for you to pin the image below.